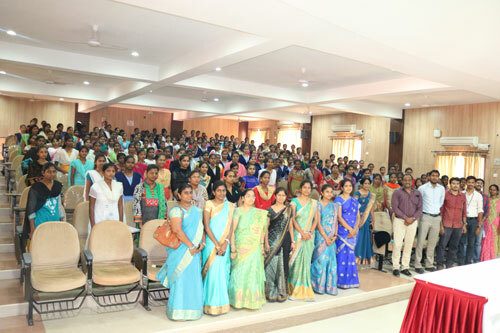 The seminar started with an introduction speech by Mr. Sakam Sagar, President of SAHAI Foundation and a welcome speech by Ms. Ganga Bhavani, Principal, Faculty of Nursing and felicitation of MOHAN Foundation staff with flowers. 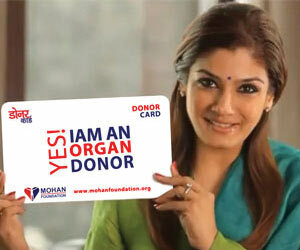 Mr. Siva Shankar started with the Concepts of Organ Donation and its need. 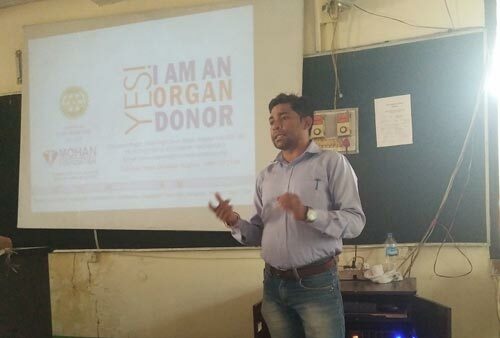 He started the session with a question “What is Organ Donation?” Many answers were given and with that he explained the organs that can be donated the stages at which organs can be donated. 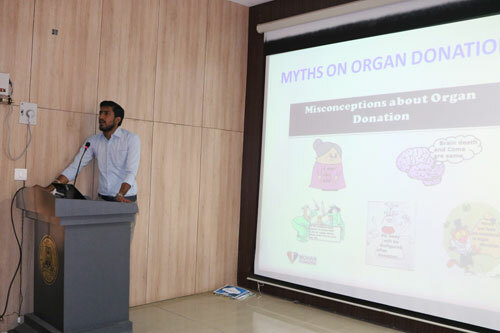 He explained on the Law of Organ Donation and Transplantation and the penalties in the law. 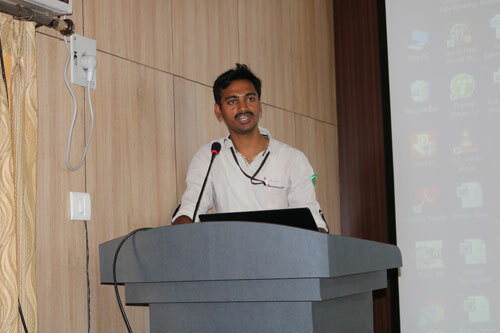 He explained the government authority (Jeevandan) who plays a major role in the allocation of organs in Andhra Pradesh. The concepts talk went on for 35 minutes. 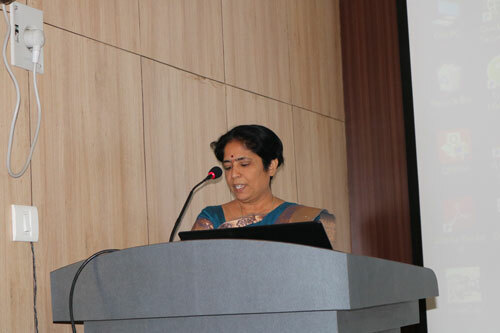 The session was then continued by Dr. Bhavani Mohan Raj, Nephrologist – SVRR Government General Hospital on the Incidence of Renal Failure and Post Transplant care of patients. 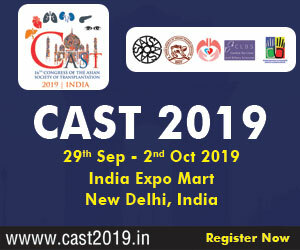 He gave in depth information on the causes of renal failure and types of dialysis those patients take when they have renal failure. The students listened carefully and took note of everything he explained. 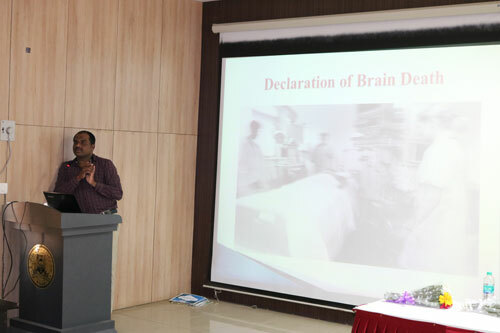 Dr. Bhanu Chandra started the session with detail information on the role of transplant coordinator and protocol that is followed in the hospitals when there is a brain death patient in the hospital. 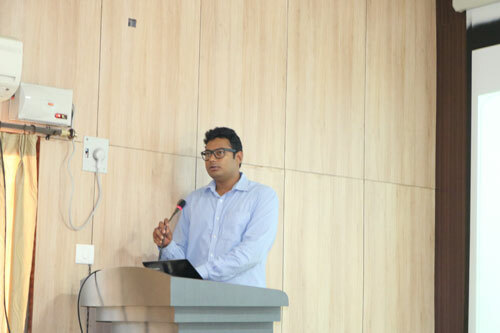 He explained on the types of coordinators such as donor transplant coordinator and recipient transplant coordinator. 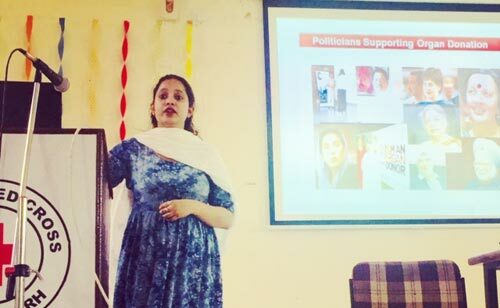 The protocol was clearly explained to the students. Post the session the 5 volunteers were called to the front and they were given boards of each staff in the hospital during transplant. They were made to explain their role. 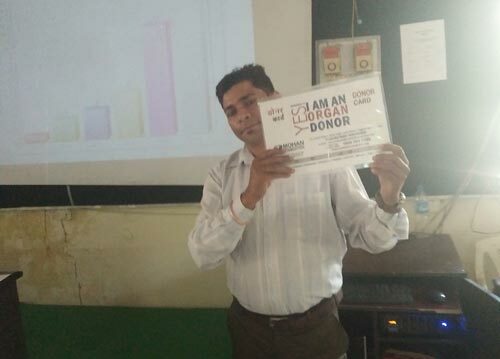 This made the students to clearly understand the roles of each doctors and staff during any organ donation in a hospital. 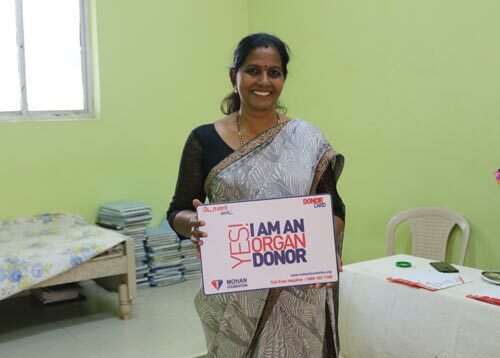 The session ended with a felicitation to the MOHAN Foundation staff by the principal and a vote of thanks by J C Kavitha Latha, Volunteer of SAHAI Foundation. 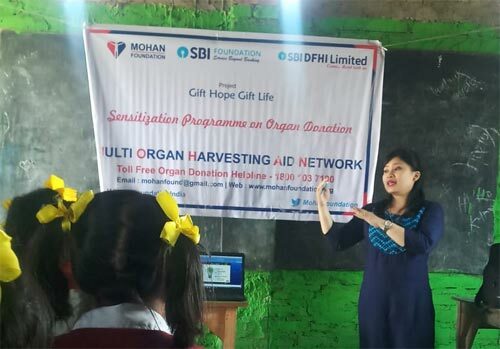 MOHAN Foundation thanks SAHAI Foundation and its volunteers for supporting this social cause.